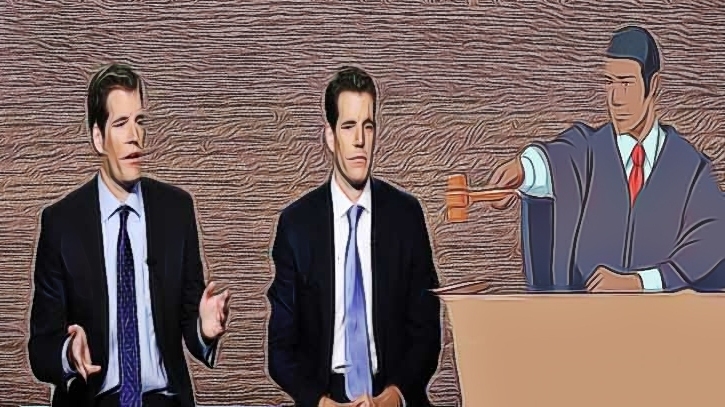 A few days ago, news broke that the Winklevoss brothers had lodged a court case against Charlie Shrem. The billionaire twins, who earned their billionaire status courtesy of the Bitcoin boom, have been very much in the news lately. They’re among the various people and influential entities that have been pushing for a Bitcoin ETF. The two are the founders of the Gemini exchange. On the other hand, Charlie Shrem is known as one of the early adopters of Bitcoin and the founder of BitInstant, a crypto exchange that is now non-operational. Charlie is an ex-convict, having served a year in prison after he was convicted of aiding criminals who used Bitcoin to trade drugs and guns on the dark web back in 2014. The case in question revolves around the brothers’ business engagements with Charlie in 2012. Apparently, the Winklevoss twins gave Charlie some money to purchase Bitcoins on their behalf. However, Charlie didn’t give them the whole package. The brothers claim that he kept about 5,000 Bitcoins worth $61,000 for himself. Going by the current market price, the coins are now worth a cool $32 million. The Winklevoss brothers want their coins back. In their submission, they claim that they tried to get Charlie to transfer the Bitcoins to them but he ignored their calls. When the brothers filed the lawsuit, Judge Jed Rakoff granted their request to freeze some of Charlie’s assets. They claimed that Charlie had bought the assets using the proceeds from the stolen Bitcoins. They had hired an investigator who tracked down the Coins to two exchanges – Coinbase and Xapo. Before he went to prison after his previous conviction, Charlie had maintained that he had no money. When he was released, he started buying expensive properties and living a luxurious lifestyle that the Winklevoss now allege is funded by their Bitcoins. However, in the latest ruling, Judge Rakoff reversed the order for the asset freeze, saying that an explanation for the judgment would be availed later. Although Charlie won the asset freeze battle, the main case about the Bitcoins is yet to be determined. According to his lawyer, the dispute is centered on the $61,000 that the defendant is alleged to have squandered. The lawyer agreed to have that amount held in escrow as the case continues. The judge set the trial date for June 17.